Barracuda security solutions are engineered for AWS and designed to support you in your cloud journey. 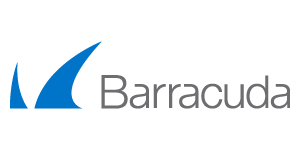 As part of the shared security responsibility model, Barracuda products complement the existing AWS services to enable you to deploy a comprehensive security architecture and a more seamless experience across your cloud and on-premises environments, providing enhanced security against cyberattacks and advanced threats. Barracuda is an APN Advanced Technology Partner and has achieved Security Competency certification which means solutions are well architected and pre-qualified by AWS. Try our solutions via AWS Marketplace with PAYG, including usage-based (Metered Billing), BYOL pricing, offered in all Regions and all Availability Zones. Barracuda solutions for AWS remove security blockers allowing you to fully leverage the power of the cloud. Sold by Barracuda Networks, Inc.